The era of the artist in Yosemite extends from 1855 to the present time. Artists were drawn to Yosemite, where they found inspiration in the magnificent scenery. Artist’ paintings, drawings, sketches, and photographs publicized and popularized Yosemite. They excited the curiosity of folks, and interest in the area grew rapidly. Consequently, many people chose to travel the rough route to Yosemite and experience the beauty firsthand. Artists were among the first pioneers to enjoy and appreciate this area for the sake of its natural beauty and grandeur. Explorers, writers, and early tourist parties of the 1850’s returned from Yosemite with stories of spectacular beauty. 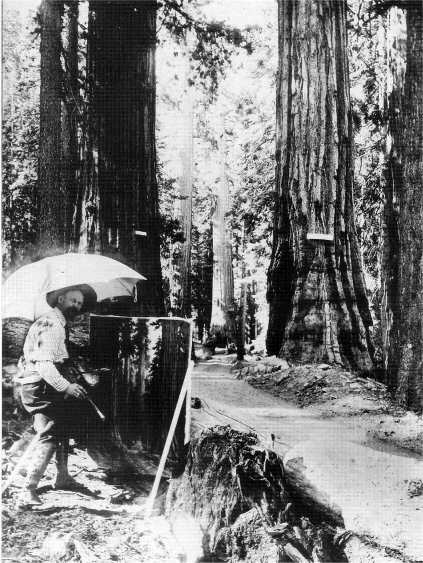 It is they who brought to public attention the magnificence of 30-foot wide trees and 1,000-foot waterfalls, instilling a sense of wonder in those who had never seen the Yo-Semite. Artist Chris Jorgensen, a noted painter, was one of many artists who popularized Yosemite and specialized in scenic paintings in oil and watercolor. Jorgensen first came to Yosemite Valley in 1898 and camped two summers before building his first cottage—a studio and residence—on the north bank of the Merced River in 1900. 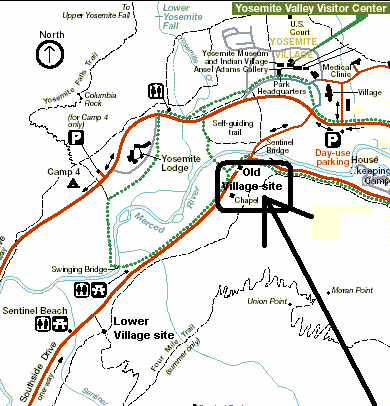 In 1903, he built a one-story, one-room log structure, “the bungalow,” on the opposite side of the river from the Sentinel Hotel in the Old Upper Village, and a short distance above the Sentinel Bridge. Jorgensen maintained a separate studio nearby, and also had a barn and storehouse. This new residence had a wood shingle-covered gable roof, with the front decorative gable end projecting ten feet beyond the front wall of the cabin. Its walls consisted of peeled logs in alternating tiers and contained an original stained glass window. Jorgensen maintained a seasonal residence and studio in the valley until 1918. In 1917 the National Park Service was established. 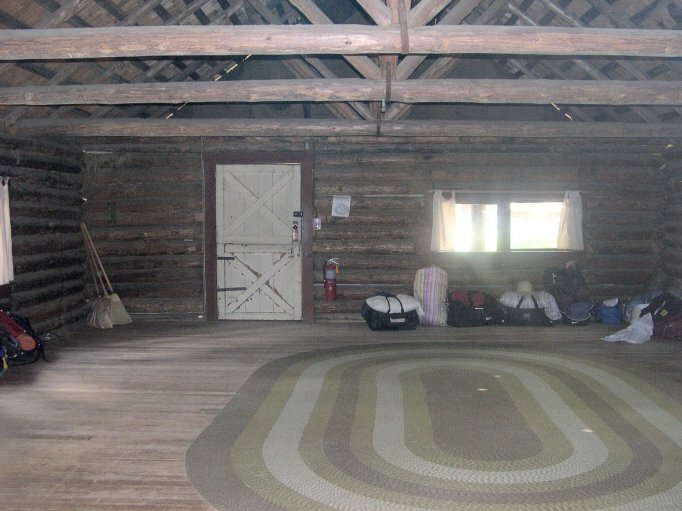 After a summer of inadequate tent quarters for a government mess, the operation moved into the old Jorgensen cabin, which the artist had vacated after relinquishing his concession. A committee of three men appointed by Superintendent W. B. Lewis made the studio into a clubhouse for members of the mess by converting it into a kitchen and dining room. 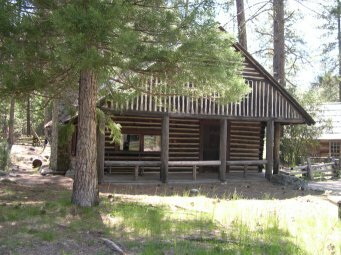 In 1921 the Yosemite Museum was established and housed in the old Jorgensen cabin. This was the first museum in a National Park. Chris Jorgensen donated his extensive Native American basket collection to the newly-established Yosemite Museum in 1923. In 1926 a “permanent” museum was built in the new Yosemite Village, partly on donations from school children and others. 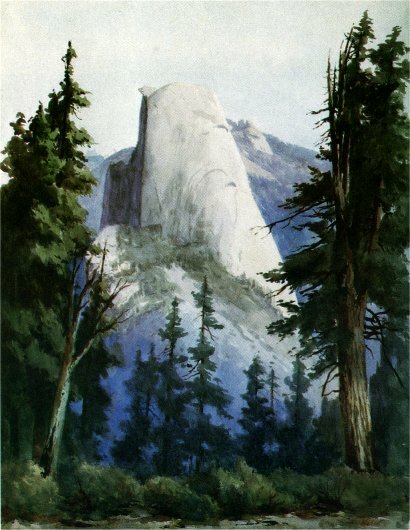 Chris Jorgensen died in 1935 and the Yosemite Museum acquired 198 oil and watercolor paintings from his heirs. These were on display until around 1966 when the Yosemite Museum was closed for use as administrative offices. Unfortunately, since the museum closure the public cannot view his art or other Museum collections. In 1962 the Park Service razed the earlier Jorgensen studio and residence (built in 1900) and moved the latter bungalow (built in 1903) to the Yosemite Pioneer History Center, in the mistaken belief that it was the studio building. So, unfortunately, the latter Jorgensen home that was preserved instead of his studio. The Jorgensen Cabin is listed in the National Register of Historic Places (art, local). Biographical sketch of Chris Jorgensen in Yosemite Indians and Other Sketches (1936) by Mrs. H. J. Taylor. Includes a portrait.